Mothering Sunday is always celebrated on the fourth Sunday of Lent, exactly three weeks before Easter Sunday. Traditionally people would go ‘a-mothering’, that is to return to their ‘mother’ church a trip which often included a trip to visit family. 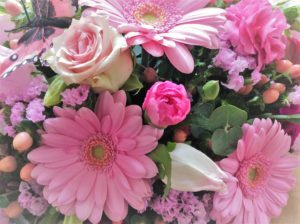 Flowers would be picked from the roadside verges along the way as a gift for mother. In America, Anna Jarvis (1864-1948) lobbied the government for a special day to celebrate mothers, which became known as Mother’s Day and is celebrated on the second Sunday in May. Her actions inspired Constance Smith here in Britain and she called for “The revival of Mothering Sunday” in her 1920 booklet. By 1938 the day had grown to be a popular celebration in the UK with the Boy Scouts and Girl Guides celebrating it enthusiastically. American and Canadian soldiers brought the American Mother’s Day traditions during the war and by the 1950’s it had become an established annual event. Next weekend many of us will be taking the day to treat the wonderful women in our lives who have mothered us. At Shrinking Violet Bespoke Floristry we can think of no better way to express our gratitude than with beautiful, unique flowers. 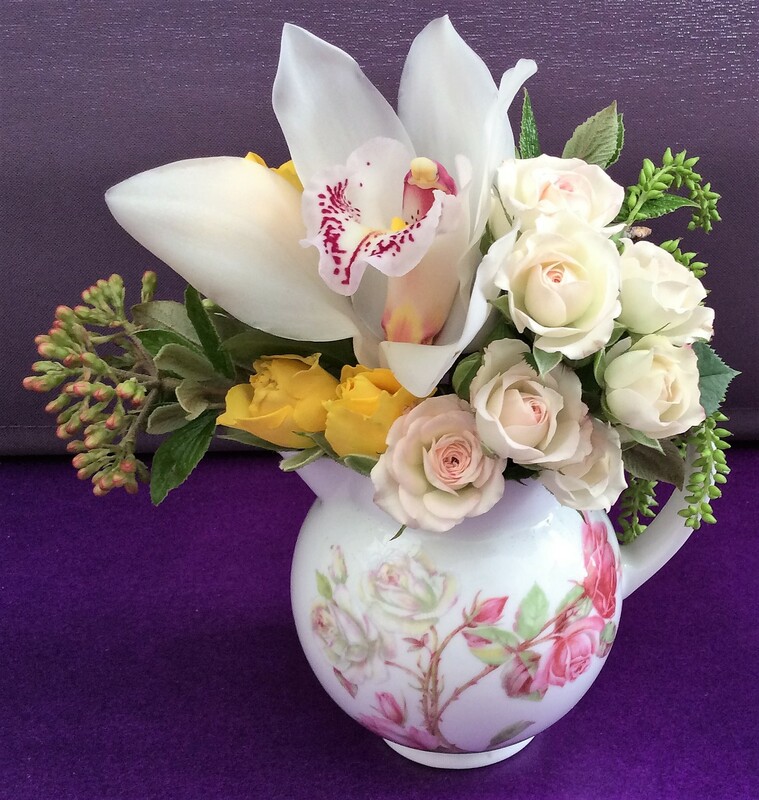 That is why we have created beautiful eye-catching floral displays in jugs. We think these lovely flowers are special and out of the ordinary, just like these amazing women. Every arrangement is unique and can be tailored to your requirements. So please let us know if you have any specific requests. All orders must be received by 5pm on Thursday 23rd 2017 and will be delivered on Saturday 25th 2017.